Residences | 1100 Millecento Brickell Miami Residences / 1100 South Miami Ave.
Pininfarina is known throughout the world as a symbol of pure luxury and where design meets performance. 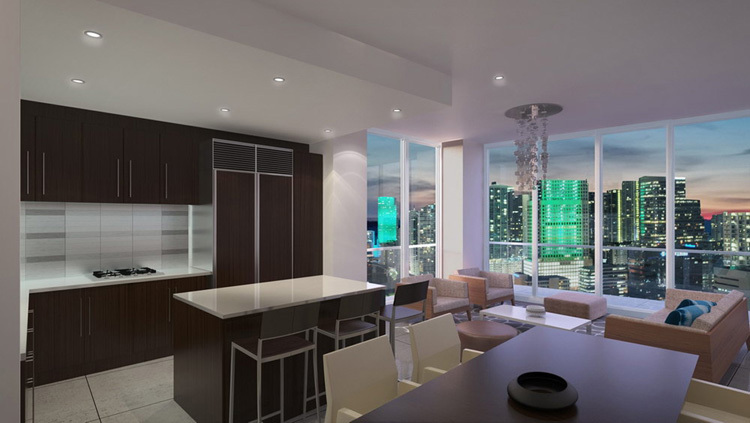 All residence units inside 1100 Millecento are designer ready with looks that are pure, clean and modern. The 1100 Millecento, located in Brickell, will feature large Terrance balcony with hurricane resistant glass railings for unobstructed city and bay views. This luxury high rise building will also have energy efficient hurricane resistant windows and sliding doors. The building will also have high 9 foot ceilings on the regular floors and 10 foot ceilings on the penthouse levels. All residences will feature smart building technology pre wired for high speed internet access and cable data/tv access. All residences will feature top of the line European designed cabinets, imported stone counter tops, stainless steal appliances, imported porcelain tile floors, and a double European under mounted sink. 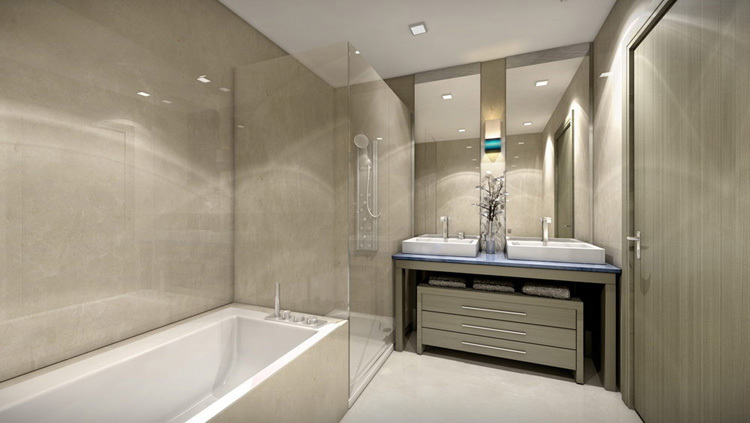 1100 Millecento by Pininfarina, will feature top of the line spacious bathrooms in all residences. Designed by Pininfarina, the bathrooms will feature European cabinets, stone counter tops, imported porcelain tile, glass enclosed shower and soaking tub.